Lust. Wrath. Envy. Pride. Greed. Gluttony. Sloth. Seven dark shadows lurking within every soul. 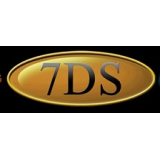 Seven Deadly Sins is a collection of multi-genre short story adult fables written by seven of the best new authors you will find. Each twisted tale pulls you into a world of either fear, passion, need, rage and even comedic sarcasm. 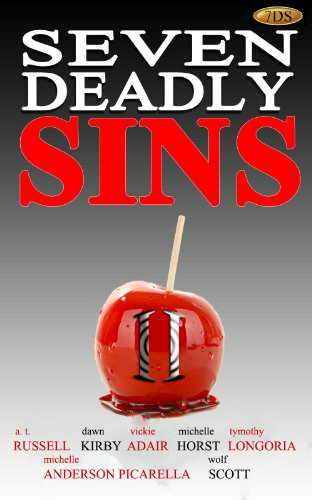 Each reader discovers the spine chilling reality of how easily you could slip from the daily flawed human life into the realms of being consumed by one of the seven deadliest of sins. Enjoy a taste of the forbidden fruit with Sci-Fi, Fantasy, Paranormal and more. Includes a sinful foreword by the creator of 7DS Books as well as individual interior illustrations representing each short story.